Providers are united for Brownsville, and United for Brownsville is depending on their collective action and expertise. 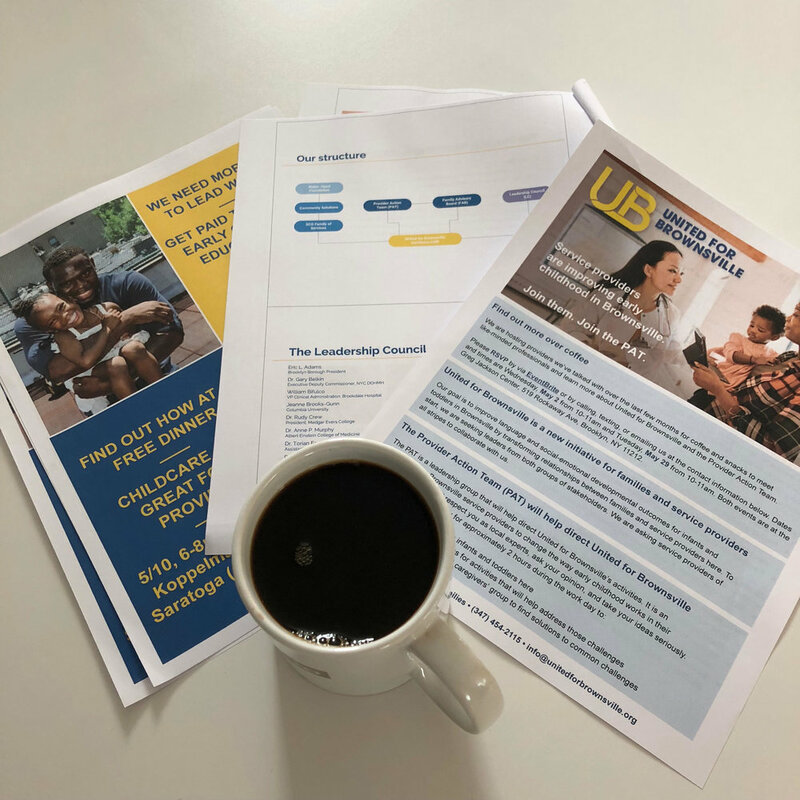 On May 2nd, childcare workers, representatives from the NYC DOE's District 23, preventive service providers, and others joined UB for coffee and a conversation about joining the Provider Action Team (or PAT). Since we started planning in the Fall of 2017, UB has been hitting the pavement in 11212 and visiting any professional who serves children here to discuss challenges they face in their jobs and ideas they have to make their work easier and more impactful. Now we are putting those conversations into action and requesting decision-makers from a diverse array of providers to formally join the PAT and contribute their perspectives to the work we are all doing. We have heard many great ideas about how things could be improved, and we're eager to get to work making that happen collectively. UB is hosting one more Coffee and Info Session on May 29, 2018, from 10-11 am at the Greg Jackson Center (519 Rockaway Ave., Brooklyn, NY 11212). We welcome providers of all stripes to RSVP here and join us for coffee and snacks. See you there.